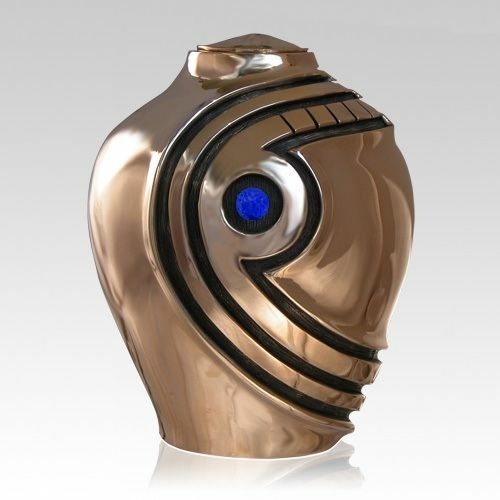 The Matador Bronze Funeral Urn with a lapis stone insert is made from solid bronze and finished to perfection. The bronze urn is made by one of the leading bronze artists in America. This bronze urn can create a memory of your loved one. Comes in a crushed Velvet bag and gift box.